Did you have the Frampton Comes Alive! album? 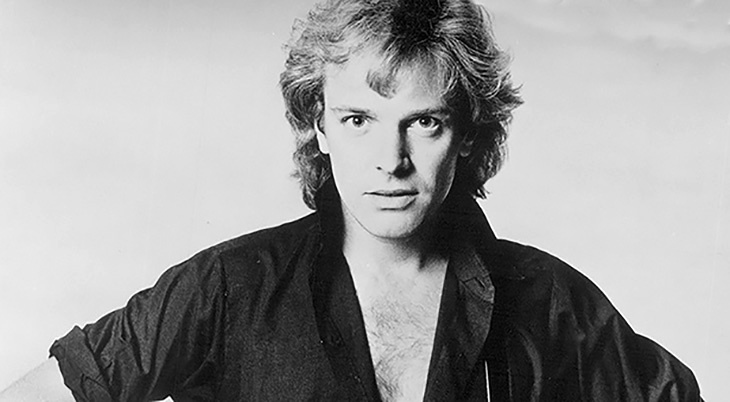 Enjoy 6 classic videos from English-born rock/pop guitarist, tenor singer, songwriter and baby boomer Peter Frampton (April 22 1950), who turns 65 today: Baby, I Love Your Way; Show Me The Way, I'm In You, Do You Feel Like We Do, All I Want to Be (Is By Your Side), and Lines On My Face. While growing up in England, Frampton taught himself to play guitar & piano from age 7. At 12 he was performing in a band called The Little Ravens, and spending time at school lunch breaks playing Buddy Holly songs with friend and schoolmate David Jones (later to be known as David Bowie). 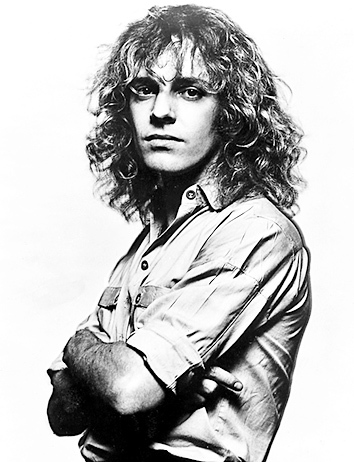 Peter Frampton continued to sing and perform in bands throughout his teen years, including The Trubeats (1964) and The Preachers (1965); when he became the lead singer and guitarist for The Herd in 1966 he began to be pictured in teen magazines. In 1969, an 18-year-old Frampton and Steve Marriott formed a new group called Humble Pie. Frampton was a popular session guitar recording artist for other performers as well, including George Harrison and Jerry Lee Lewis. In 1971 at age 21, he made a couple of big decisions - he married his first wife, high school sweetheart Mary Lovett (they divorced in 1973), and he decided to go solo. He released 3 albums and toured frequently, before his 4th album, Frampton (1975), began to gain some traction and got to #32 on the US charts. 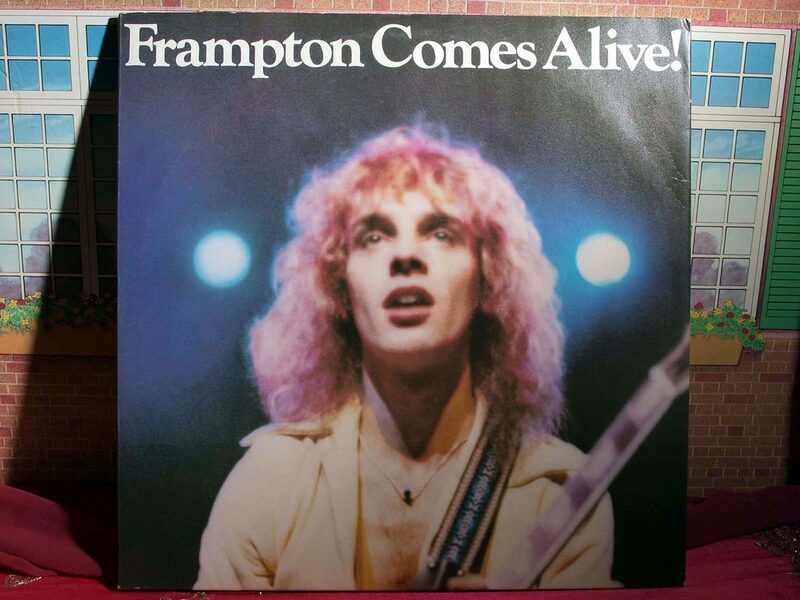 Finally in 1976, his Frampton Comes Alive! album exploded on the charts, selling over 6 million copies and spawning 3 Top 10 hits that included the single Baby, I Love Your Way. Below, the younger Peter Frampton sings Baby, I Love Your Way from Frampton Comes Alive!, live in concert. Show Me the Way and Do You Feel Like We Do featured his use of the talkbox (a special guitar effect which makes it sound like the guitar is singing), which he is still known for today. Over the next two years Frampton Comes Alive! became the top-selling live album (at that time). Below, Peter Frampton sings Show Me The Way live in 1977, video courtesy of Music Vault. Frampton was invited to visit the White House, co-starred with the Bee Gees in a movie (Sgt. Pepper's Lonely Hearts Club Band), and his photo (by famed photographer Francesco Scavullo) appeared on the cover of Rolling Stone magazine (Artist of the Year) - according to Frampton, something he regrets because of the perception it engendered of him as a teen idol vs an artist. It would be hard to find a baby boomer alive today, that doesn't remember Frampton Comes Alive! Peter Frampton has continued to release albums, make special television appearances (live appearances and voiceover animations on The Simpsons and Family guy), and tour since the Frampton Comes Alive! days, despite a series of unhappy incidents. Frampton had a serious car accident in 1978 during which he broke both of his hands, his feet, right arm and six ribs. In 1980 he lost all of his guitars when a cargo plane crashed in Caracas, Venezuela (he was heading to a concert in Panama); this included a 1954 Gibson Les Paul Custom electric guitar which had been given to him during a 1970 Humble Pie concert and that he'd used throughout his early solo career. In 1991 he lost his friend Steve Marriott in a house fire just before the tour they'd been preparing for was about to start. Although some of his later albums have had some success (1977's I'm in You went platinum; Fingerprints won the Best Pop Instrumental Album Grammy in 2007), nothing has thus far been able to match up to the lightning in a bottle that was Frampton Comes Alive! His most recent album, Hummingbird in a Box, was released in 2014. Below, Peter Frampton live in concert singing his hit single I'm In You, in 1977. Below, Peter Frampton performs Do You Feel Like We Do live, video courtesy of VEVO. In December 2011 Frampton miraculously recovered his famously lost 1954 Les Paul guitar...it had been recovered from the crash and sold to a musician on the island of Curacao. The head of the Curacao tourist board - who happens to also be a Peter Frampton fan, customs agent and guitar repairman - negotiated the sale of the guitar from the local musician back to Frampton. Frampton met 2nd wife Barbara Gold in 1980; they had daughter Jade after marrying in 1983 and son Julian in 1988, before the couple divorced in 1993. Julian plays drum and guitar and has toured with his father. 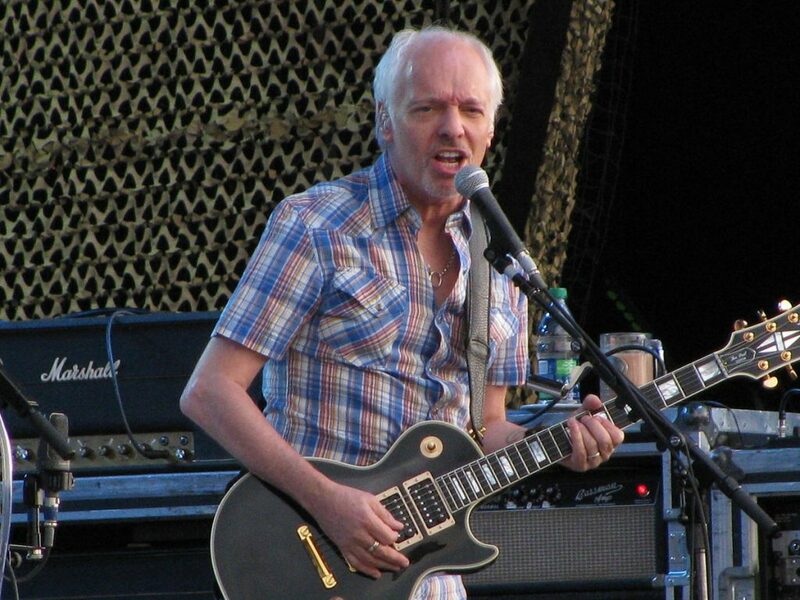 In 1996 Peter Frampton married third wife Tina (Christina) Elfers, whom he'd first met back in 1979. Their daughter Mia was born in 1996; Mia's an actress (Bridesmaids) and also plays guitar. The couple separated in late 2010 and Frampton filed for divorce in 2011, after 15 years of marriage. Now a single senior citizen and living in Nashville, Frampton will be on a North American tour in 2015 with Cheap Trick - Canadians can catch them August 5th in Toronto at the Molson Canadian Amphitheatre. Below, Peter Frampton talks and sings in the NPR Music Tiny Desk Concert, performing All I Want to Be (Is By Your Side), Lines On My Face, and Baby, I Love Your Way.